Currently I am in my first year as an undergraduate mathematician at the University of Hull. I hold office in Hull University Union as a representative for the School of Mathematics & Physical Sciences. My third forum of this academic year began with an apology by the education officer Salman Anwar, who had promised at the previous convention to entice us back with cake, but instead had only biscuits. Today’s meeting had two guest speakers. The first was Chris Turnock, Head of Technology-Enhanced Learning. 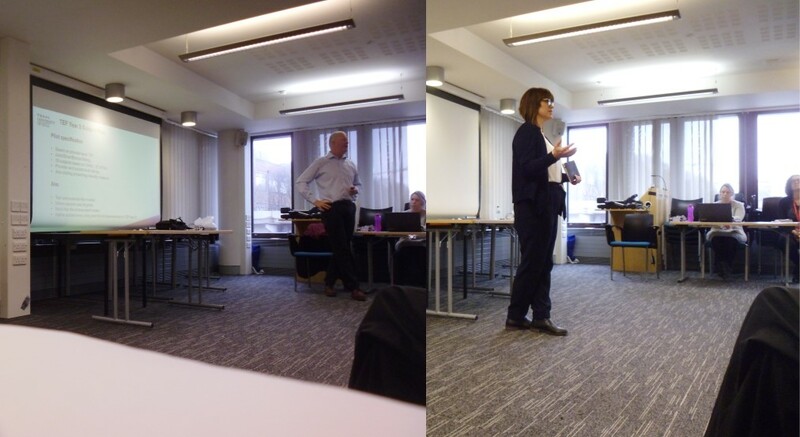 He gave a presentation about the Teaching Excellence framework. Universities are assessed on thirty-five subjects, of which Hull teaches twenty-seven. The university as a whole must submit a fifteen-page report, and each subject will submit five pages. We were advised that the latter would include contributions by student representatives. The second speaker was Rebecca Dennison, Head of Customer Service & Administration for Student Services. She reported that consultations had found students were dissatisfied with the service they received in the hubs, which had recently been reorganised. Many students, particularly those in later years, were still going to the old locations rather than the new ones. A representative complained that students in the Faculty of Arts, Culture & Education were taking on a storm of irrelevant emails, which Dennison put down to a technical glitch. Mr Anwar then took the floor for general questions. He mentioned the approach of Sexual Health Advice & Guidance Week, and the prizes available for sports teams or societies which got all of their members tested for venereal disease. There were some complaints about the universities numerous intranets and virtual tools, most notably the iHull application which was, in his own words, still rubbish. Two students made complaints about the behaviour of security guards in the Brynmor Jones Library. One had apparently barred a group of students from discussing the Iraq War (which was the subject of their upcoming politics examination) on the grounds that it would offend international students. Another had responded to a complaint about students in a reserved booth noisily watching a football match on the large computer monitor by sitting in and joining them. There ensued a brief discussion on the practicality and acceptability of sleeping in the library. A representative complained of lectures running the limit of their timetabled slot and leaving no time to travel from one venue to the next. Another raised concern with lecturers who failed to upload slides used in their presentations, and a shortage of electronic textbooks. Not much was discussed on my second trip to this forum that had not already been said at the November forum – or at yesterday’s. Again there were issues with timetabling and rerouting of lectures around the building works on some of the campus’s more dilapidated dwellings. As with the student staff forum there was a lengthy discussion about the placement of January examinations in the Lawns dining hall. Representatives demanded that the university provide free transport for the students affected. The student officers still hope to organise some kind of informal mass gathering. Again questions were asked as to what might tempt our attendance and again the response was that they should offer free pizza. I still don’t have a badge to wear! My second time in the chair had a somewhat greater audience than the first. We now have course representatives for the third and fourth years, although the second year is still without a voice and the foundation delegate was absent. The end of year report and National Student Survey data were again unavailable and we were advised to drop those items altogether. Running through the concerns which were raised at the previous meeting we learned that course handbooks and past examination papers had been made available online. With winter examinations looming, there were concerns raised about the non-appearance of the test dates, which made it hard for some students to establish a revision schedule. Students living around the main campus area were less than pleased to discover that some of them would have to sit their papers in the dining hall at the Lawns, which was requisitioned because the university’s on-campus sports hall being closed for reconstruction. Architecture seems to be a recurring problem in these discussions, as complaints were also relayed about heating failure in the computer suites of the Foss and Fenner buildings. 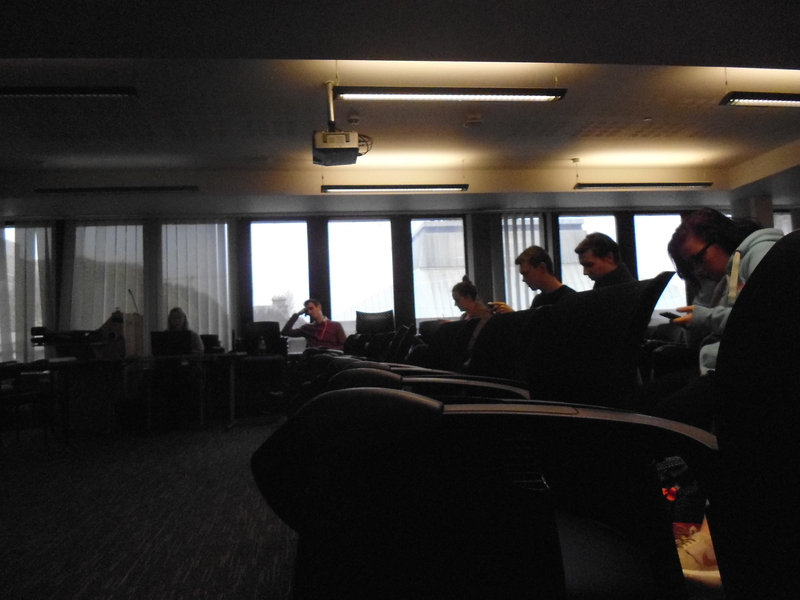 Some students also said the Brynmor Jones library was getting too loud as it reached full capacity. There is little else to say, but it is encouraging to see that more students have gotten involved. Though I stood in and around the Canham Turner building six days ago to catch a glimpse of Her Majesty’s emergence, this is my first major event inside the spacious lounge since the revision conference six months ago. Representatives of thirty-nine organisations had set up stall with the hope of attracting Science, Technology, Engineering & Mathematics students to apply for job opportunities. 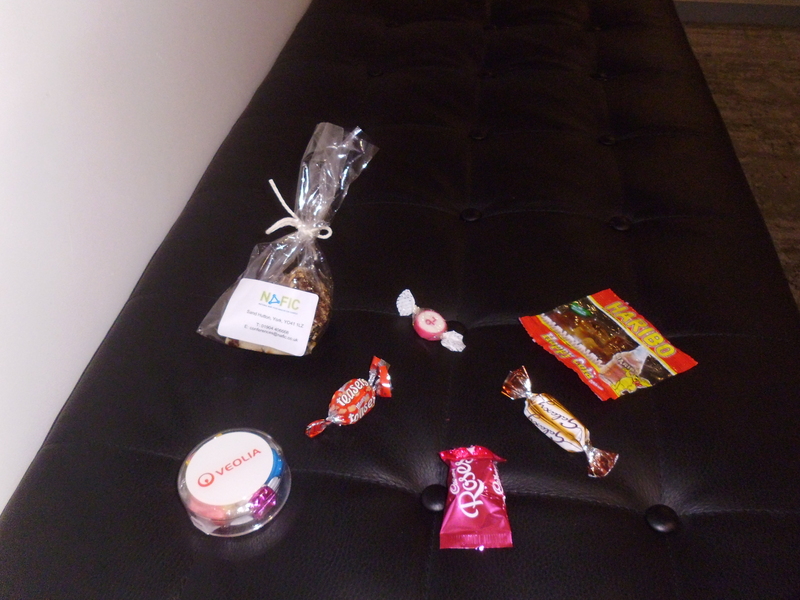 There was no buffet lunch this time, but nearly all of the stalls gave away small pieces of confectionary along with the usual branded pens and glossy leaflets. I guess it beats Trick-or-Treating. 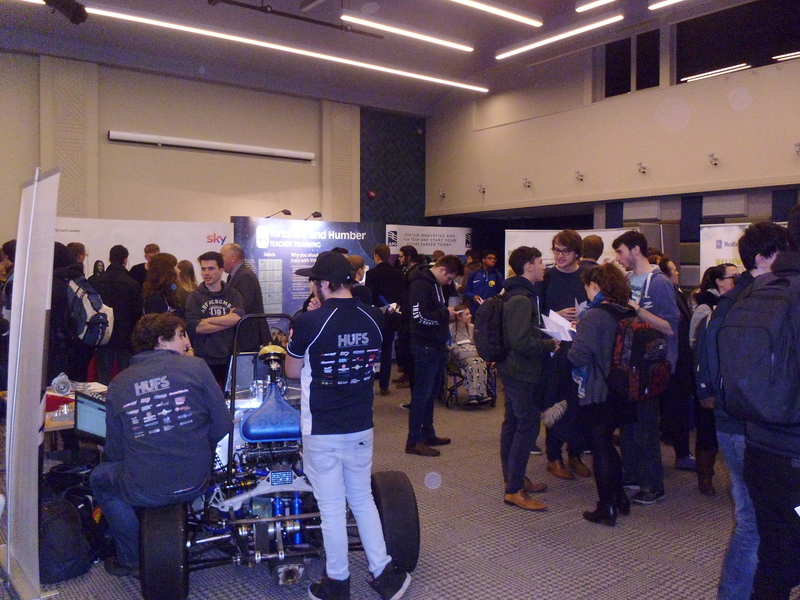 This being my first term, I am a long way off making a firm choice of career path, but events like these are useful for showing me what my options are. Having spent the last few years of my life and education pushing towards a chemistry degree, the late-stage switch to mathematics means that some recalibration is in order. Events such as this are helpful in devising a new strategy. Many times on this website I have logged my encounters with notable individuals,including so far an astronaut, three MPs, an MEP a baron and a bishop. In recent weeks I have repeatedly made reference to the reconstruction of the campus of the University of Hull. 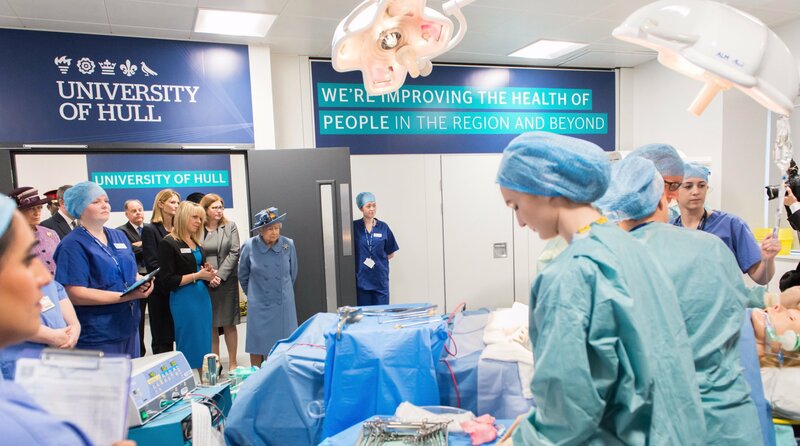 Today those threads intertwine as I recount the opening of the Allam Medical building by Her Majesty The Queen. I do not know if these children were part of the team. First notice of the event was given nine days in advance in an electronic message by the vice-chancellor. More information came in stages, with the exact timings revealed only the night before along with a list of suitable vantage points for people not directly involved. Security was visible yesterday, with police cars appearing intermittently on the forecourt. Today crowd barriers were erected at key points and several hundred people swarmed behind them. Having had a long morning lecture I was unable to stand on the front line, so went into the neighbouring Brynmor Jones Library. Even there it was crowded, but I found a spot of empty window space on the third floor. This turned out to be far more advantageous than standing by the barriers – firstly because I could sit down at a computer desk instead of standing in the cold air, secondly because my window was parallel to the southern face of the Allam Medical building, and through two layers of glass we could see the official party moving around inside. We spotted the bright blue flash of Her Majesty’s dress as she emerged from the lift on the third floor. We also spotted some of her attachment running down the access stairs in advance of her departure. Finally she emerged from the glass doors to return to her state limousine to be driven over to the Canham Turner building for the next stage of her engagement. Nurses look on following their encounter. Another dense crowd formed in advance of her emergence, so getting a view was impossible. I tried to find an upstairs window in the Robert Blackburn building opposite but could not see anything useful. From directly behind the crowd I could barely get a view of the door and from the steps of student central my eye line was blocked by the large metal overhang. Desperately I sought a viewing post inside Canham Turner, eventually joining a smaller clump of onlookers peering through a glass door off the entrance lobby. The view was extremely limited – made worse by so many students pressing their enormous smart phones against the glass. Attendance at these events always requires a delicate balance between present and posterity – one can spend so much time trying to record the perfect video or photograph that one defeats the objective of actually looking at the subject in the flesh. Eventually we saw the Queen and other guests go by (judging by their elaborate clothes we guessed one of them was the Lord Mayor of Hull) and then I dashed back outside to see the flag atop the limousine shrinking as it drove away. Briefly I considered that the day was over – then I had another idea. The tail of the departing group. Rushing around the back of the Gulbenkian Centre and the Loten Workshops I found that the access road behind the campus (beyond which are the old sports centre and the new Courtyard accommodation) was relatively uncrowded. The procession of cars passed barely a metre from me. Upon spotting a small girl with a bouquet of flowers, one of the support vehicles even paused and collected them to pass on later. This is probably the peak of my encounters. Reigning for more than six decades in sixteen countries, our hexadecimal nonagenarian monarch is as famous a human as is ever likely to exist in my lifetime. I guess it’s all downhill from here. Though all sciences are said ultimately to derive from philosophy, the clichéd question “Why are we here?” does not often form the basis of our teachings or deliberations. Today however, that very question was on the minds and lips of all who arrived in Seminar Room A for a meeting of the Board of Studies, for which no agenda had been given. Eventually the document was found and a more substantive discussion got underway. Attendance remains an issue in certain classes with some tutorials said to have 20-30 students missing. Some staff also reported very low delivery rates for homework assignments. The issue of academic support tutors returned as the majority of students still have not met theirs since induction week. I was an exception only by virtue of my tutor being present at this meeting. It was agreed that all students would meet their tutors after completion of an upcoming careers training assignment. We tangentially brushed upon mathematics’ lack of a home when someone suggested creating a student lounge for the subject and suggested that with a new engineering suite under construction we might be moved into the Fenner building currently used by applied sciences. Details at this stage are unclear and it may not take effect for some years. Other concerns centred around student ID cards: the electronic scanners used to mark attendance at lectures had in many cases malfunctioned, necessitating a return to paper registers. A course representative also complained that the beep noise after a successful scan was too loud and thus anyone arriving late would inevitably disrupt the class. This was the first of an expected five such gatherings that one is booked to attend over the course of this academic year. 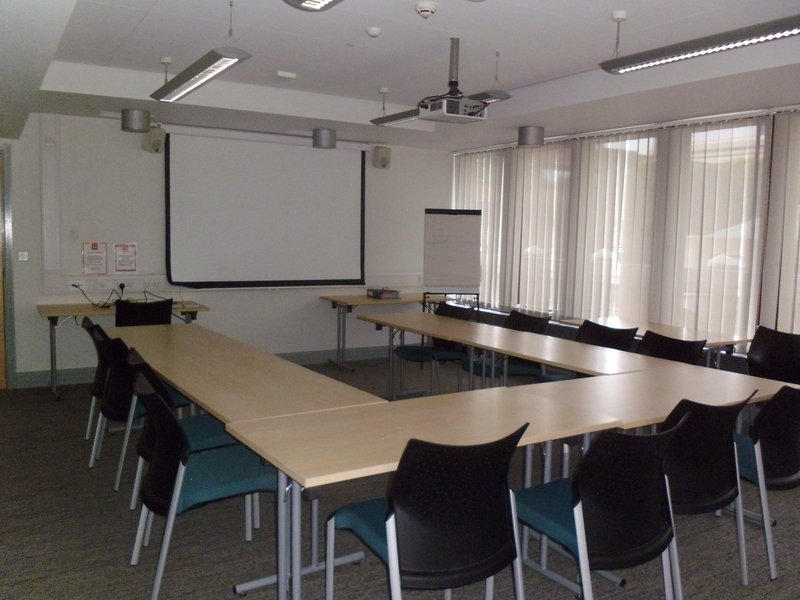 All of the university’s course and school representatives assembled in meeting room 1 at Student Central to discuss topics such as timetabling, academic support tutors and democratic engagement. The timetabling representative informed us that he and his staff were working with technology from 1998 (ironically the same vintage as most of the attending students) and that they had received this year’s student details four days – as opposed to the usual three weeks – before the schedules were due to be published. Several representatives complained about having one lecture per day, requiring a commute to campus to spend many hours idle. There were also reports of problems with short-notice room changes and classes being given venues which had the wrong capacity (some needing to bring in additional chairs, others being lost in a vast void). It was said that only two lecture theatres in the university were capable of seating more than fifty students. Moving onto academic support tutors, the same points were raised that I heard at the student-staff forum; many had never been seen. Most people in my course have yet to meet their tutor. A third year student complained that his tutor had never even sent an email. Late yesterday afternoon I received a communique from Dr Mossy Kelly, Director of Student Experience for the School of Mathematics & Physical Sciences. 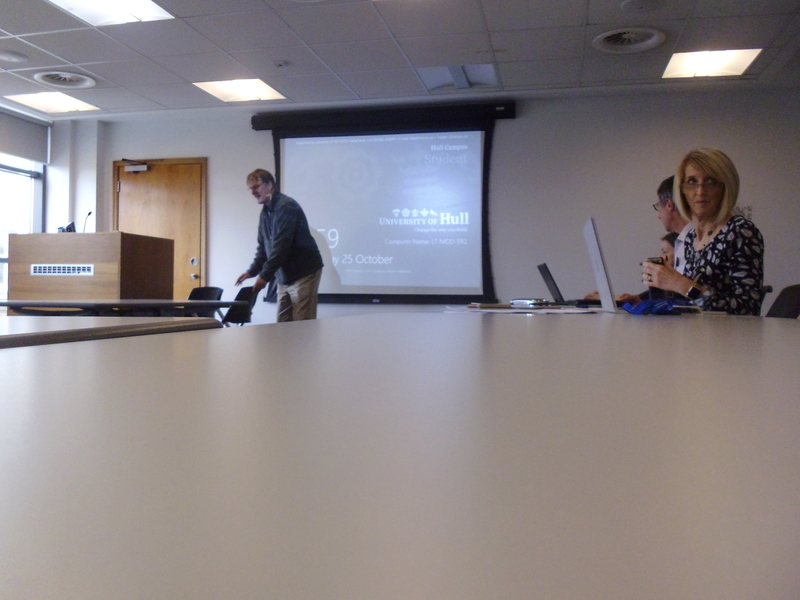 As a School Representative I was invited to attend a meeting of the Student Experience Enhancement Review team. 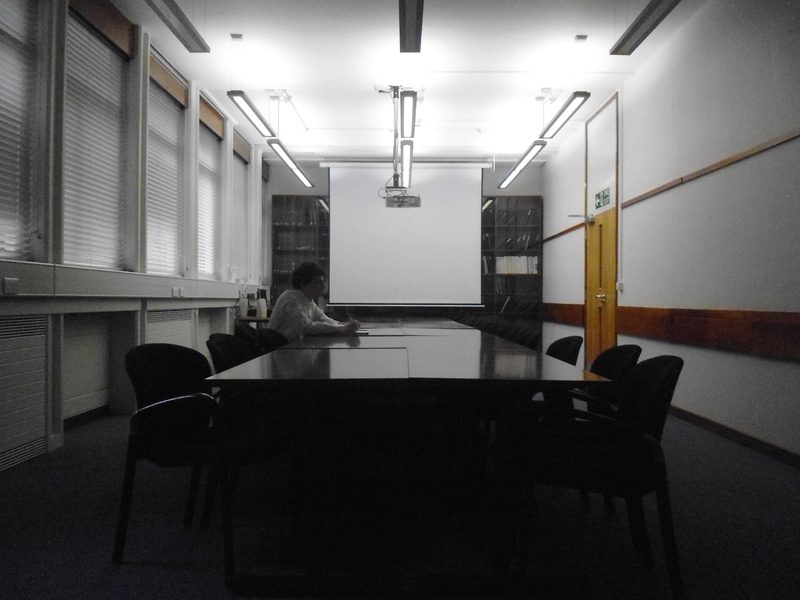 It was a very short notice arrangement, but thankfully my only lecture of the day finished just as the meeting was due to commence. Joined by a first year course representative and several of the senior faculty, I was tasked with pouring over the National Student Survey results for the previous academic year. Far away from my usual classrooms, the panel assembled in the Nidd building at the edge of the business school. Several attendants were delayed by the difficulty of navigating their way through unfamiliar corridors. Rather poetically this would become a major topic of the discussion. Looking through our survey results, we found that our mathematics courses were almost entirely red on academic support, organisation & management, and student voice, while the learning resources section came up mostly green. We deduced that both of these features could be down to the fundamentally generic nature of mathematics as an academic discipline – one cannot easily make it visually interesting in a brochure. Whereas physics could be represented by it’s lasers and pulleys; chemistry by its test tubes and fume cupboards; biology by its petri dishes and gerbils; computer science by its, well, computers; mathematics consists almost entirely of standard lectures in standard rooms. There are no special objects or equipment that would be required solely for mathematics and not other subjects. This factor works to our advantage in terms of resource evaluation; so long as the university’s library and information technology systems are sufficiently-endowed (and Hull is far from quiet in proclaiming its fulfilment of these criteria), the students will report that their needs are satisfied, without the departmental staff being required to make any further effort. The downside of our flexibility, however, is that we become a school of nomads. While the other subjects can confine themselves to their dedicated environments we are free to be unceremoniously scattered across all and any spare spaces, so that we are without a secure territory to call our home. A potential result of this is a loss of departmental identity within the faculty. There is no obvious place to go to find one’s teachers to lobby for changes or to request help with assignments. It is not inconceivable that this could lead to a lack of engagement between faculty and students, which might in turn cause the support networks to be weaker than in other disciplines. It would be interesting to compare the survey results for other subjects to determine how much of a difference the presence or absence of a distinct departmental headquarters can make to the effectiveness of the organisation. No further engagements in this capacity appear immediately on one’s horizon, but communications from administrators foretell some sort of forum being held before Christmas. Perhaps the badges will have arrived by that point! A newcomer to the institution, I approached my first student-staff forum with some trepidation. Armed with nothing but the pre-written agenda printed off the intranet, I arrived several minutes early at an empty meeting room with multiple small desks pushed together to approximate a long conference table. When the time came some others arrived, but not as many as I had expected. It became apparent that our forum comprised no course representatives from the second or third years, owing to a bizarre timetabling decision which delayed their training until next week. Some of the staff representatives were unable to abandon their classes, which further thinned our ranks. Those of us who had made it to the meeting sailed swiftly through the planned agenda. We were supposed to review the action register and end-of-year report from our predecessor forum, but it seems they neglected to produce one. Our attempt to study the National Student Survey results were also stalled by the absence of the staff-member with the relevant files. Rapidly we reached the stage of choosing our objectives for the first semester. Unsurprisingly our key aim was the recruitment of more course representatives to give a voice to the higher years. We also talked about programme experience and how students felt about their courses so far. Anecdotes were recounted regarding past exam papers and revision materials, with staff stressing the importance of learning the material itself rather than simply the test system. With our unexpectedly small discussion concluded, we opted to adjourn until December. One can only pray that we draw a greater company next time. I may have gotten here a little bit early. Barely a day after being introduced to one another for the first time, the school representatives for the Faculty of Science & Engineering regrouped for a second training session. Each of us will be the chairman of a staff-student forum, in which course representatives and members of the faculty will discuss issues with their respective courses, possible changes to teaching methods, feedback and general improvements to be made. We in turn will relay the outcomes of these meetings to higher representatives and organisations to be processed and acted upon. Crucially we also needed to give correspondence on staff-student relations for statistical purposes, including the National Student Survey. At this session we were asked to explain how we would deal with potential problems in our fora, such as lack of contribution on an item, overlong conversation without progress and attendees airing personal grievances. It was generally agreed that we would have to develop tactical methods of telling certain forum members to shut up. On the way out I inquired as to when we would receive the badges and “other items denoting the position” as hinted by the union website. It transpired that they might their delivery had been delayed a few weeks to reduce transport fees.